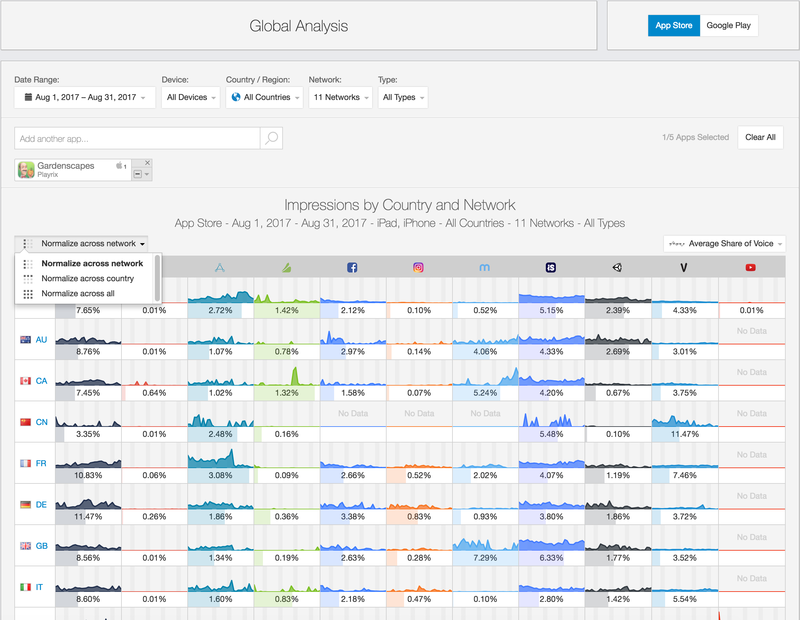 With the Global Analysis feature, you can obtain a high-level understanding of an advertiser’s Share of Voice (SOV) across multiple networks in different countries, over a period of time. You can chart the SOV graphs by normalizing the data across network, country, or both. You can analyze this data to understand where ads are placed and which countries are prioritized during an app's mobile ad campaign.